It was only a matter of time before someone turned the Beijing Olympics installations into Lego. 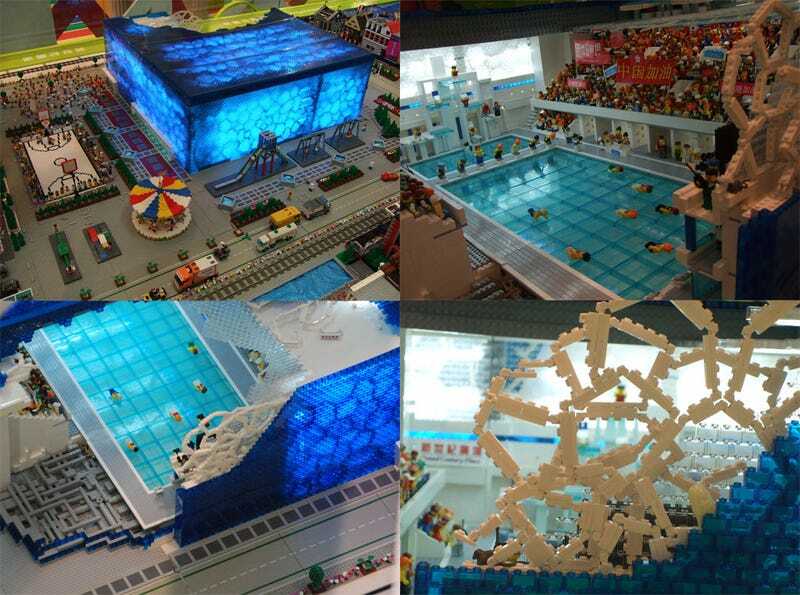 Our friends at Brothers Brick discovered the landmarks-like the Nest Sports Ground or the iconic Water Cube-Lego'ized by the Honk Kong Lego Users Group. The attention to detail is particularly impressive in the high resolution images.